Rugby is a social game that brings people together. We place a lot of emphasis of building our community and involving not just players but younger and older siblings, parents, grandparents, sponsors and the general community. One way we achieve this is making Friday night training our ‘Family Fun Nights’. 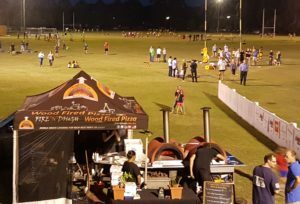 We have a range of food options, including BBQ, food trucks, full bar, entertainment for the younger kids and a number of theme nights planned. Our goal is to have our whole community looking forward to getting up to the club every Friday night.